This is my interpretation of a Mawa masks worn by the elders for a fishing ritual. The ritual is only performed during low tide a few nights before the spiritual seamen take the young fishermen out to sea and teach them the cultural way how to connect with the spirits of the past. 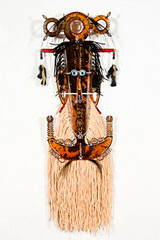 The main mask in the middle represents the MARIW THURAY MABAYG (Spirit caller). He addresses and advises all the fishermen involved during the ritual. The moulded edges on both sides of the main mask are the fishermen heading out to the reefs. The wavy cut outs represents KAYDHER which are the ripples on the water caused by a slight cool breeze. The spikes on the edges are tails of fish on the reefs. 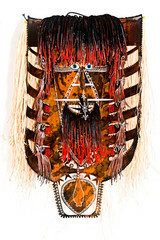 Their AWGADH (totem) is the the THUPMUL (file ray) shown on the bottom of the the Mawa Mask. This is my interpretation of a Mawa mask worn by the elders for a fishing ritual. The ritual is only performed during low tide a few nights before the spiritual seamen take the young fishermen out to sea and teach them cultural way how to connect with the spirits of the past. The main mask in the middle represents the MARIW THURAY MABAYG (spirit caller). He addresses and advises all the fishermen invloved during the ritual. 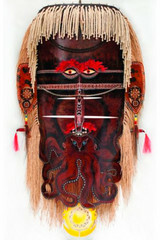 The moulded edge on both sides of the main mask are the fishermen heading out to the reefs. The wavy cut outs represents KAYDHER which are the ripples on the water water caused by a slight cool breeze. The spikes on the edge are tails of the fish on the reefs. 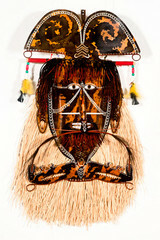 This mask represents the MALU BAYWA (whirlwind of the land). 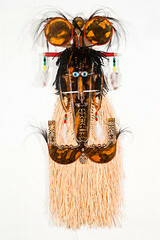 Men would wear it to engage and communicate with the passing by spirits that come through the BAYWA. This mask represents the BAYWAW (whirlwind of the land). Men would wear it to engage and communicate with the passing by spirits that come through the BAYWA. 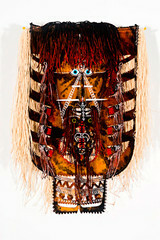 Only the ancient Elders known as the MURUYGAL would know to spiritually engage with the MALU BAYWA. 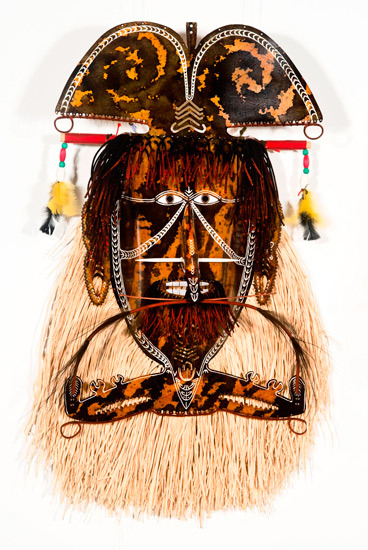 These types of Mawa masks are worn to tell stories through dance and rituals of spiritual encounters out on the sea. Some are bad spirits, some are good spirits. Many spirits come in different forms. 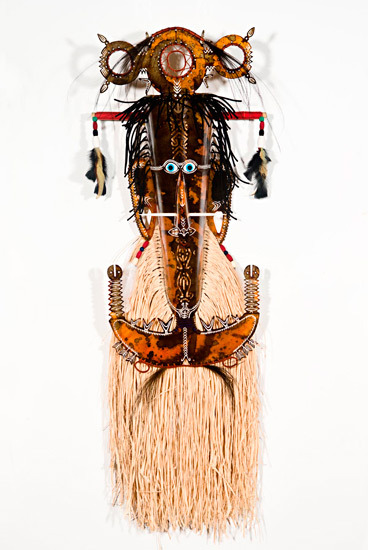 This Mawa Mask represents the good spirit who looks over the hunting canoes out at sea. 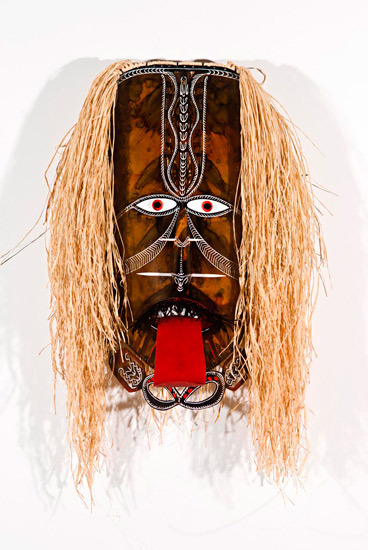 The scale of this masks represents the magic that comes with the ritual when old men wear a smaller scale of this masks at night on a certain moon on the beach when the tight is high. This rituals is performed only by old men to call for and guide all the ocotopus in to the harbour so at the next low tide the fishermen can walk the reef and catch many to feed their family. 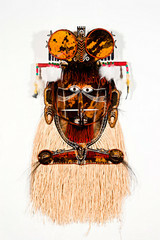 This masks represents people who never abide cultural protocols and disobey the elders advices. KAWRAGIG means with no ears...or unable to hear. 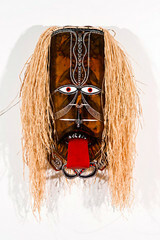 When the young youth don't listen to their elders...they are scared of from a man in the bushes wearing this type of mask.